Inheriting a home is a whirlwind of emotions and stress but strictly financially speaking is often a blessing. We’ve purchased quite a few homes from people over the years and have deal with lots of different situations involving selling inherited property. The number one thing we’ve learned that you should absolutely, never do is……nothing. When you inherit a home or many homes or some land, the last thing you want to do is nothing with it. When you do nothing…houses fall apart and lose value…..property taxes/insurance/utilities/lawn care pile up…..not to mention nagging repairs that have to be made to maintain property (painting, HVAC, roof, windows, winterizing). We can tell you from personal experience in dealing with selling our own inherited property and that of many of our clients…..the longer you wait the harder it is to make that final decision. 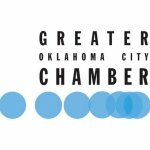 Selling inherited property in Oklahoma? Save yourself the headaches and sell to us, the E A S Y way! This is where we want to help you. W Properties is an Oklahoma based company that buys houses. We buy houses in any condition, any size, any where. Simply put, we make selling a house incredibly easy. As easy as agreeing on a price and showing up to a local title company to pick up a check 2 weeks later. We pay ALL closing costs, don’t ask for any repairs, and best of all, you don’t have to clean a thing. Take what you want and leave what you don’t from clothes to couches and trash. So now you know you can sell your house to us easily. What other options do you have? We like to make sure people have thought through everything before making a decision on selling inherited property. Since we deal with selling inherited property every day, we’ve put together a short list of your options so you can pick what you feel is best! Rent it out – this is a great long-term plan. As you can probably imagine, renting a house has its negatives: repairs, evictions, dealing with tenants, legal issues. On the positive side though, if you manage the property correctly and don’t skimp on repairs, you can create a long-term investment that will benefit you for years. The one thing you want to figure out is the numbers. Rental houses come down to the numbers: mortgage, insurance, market rents, property taxes, vacancies, repairs, property management. Call us if you need help here. Live in it – some of us at W Properties took this very option. 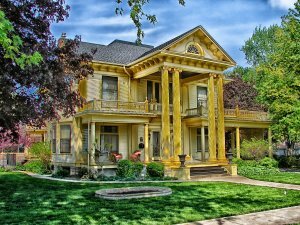 While it takes some time to adjust to living in an inherited property especially if it was the home of a deceased family member, it’s a good option. If the house still has a mortgage on it, you’ll have to deal with that and take it over. If you do decide to go this route, call us and we’ll buy your old house! Repair/remodel and sell – if the property needs repairs or updates, you can take a risk on your end and invest some money into repairs/updates and sell it. This is a large part of what we do at W Properties: we buy houses, invest money into them, and sell for a profit (hopefully). This will take time and money to pull off and isn’t risk free though. We’d be happy to help you think through this option if you want. You’ll need a clear plan and good contractors to pull this one off. Sell as is to W Properties – this one is pretty straightforward. We’ll buy your inherited property as is in a matter of weeks. You don’t have to clean or repair anything. You can leave behind anything you don’t want as well. We cover all closing costs and you don’t lose money paying for real estate agent commissions. If you are intent on selling your inherited property, call us before you do anything! Those are your main options. We encourage you to really think through them all before making a choice. Renting a house isn’t as bad as it seems. We’ve worked out deals with people where they try renting and later sell to us if they don’t like it. The point is, we are here to help in any way we can. At W Properties we’ll buy just about anything. From a single house to a portfolio of 30 rental properties. Duplexes, triplexes. Land. Commercial space. You name it, we’ll buy it. No matter the type of property, the terms are the same: we pay closing costs, no real estate agent fees, no cleaning/repairs by you. If you’ve inherited property in Oklahoma and want some help figuring out what to do, call us at 405-673-4901 today! Selling inherited property is easy when we are buying it. We try to make it as stress free and easy for you as possible. You can also fill out the form below and we’ll get notified instantly about your property. You’ll hear back from us within 24 hours to discuss the details. What are you waiting for?? ?